Yes, as crazy as it sounds, I spent a weekend in a hotel banquet hall listening to speakers talk about credit card points and frequent flyer programs. Totally normal. Frequent Traveler University (FTU) hosts about six conferences throughout the world each year, and they just so happened to be hosting an event in Washington, DC this past weekend. I didn’t know what to expect going in, but considering I’ve spent three years building an expertise in using credit card points to book business class flights around the world, I figured I knew all there is to know about the points game. I had no idea the multitude of ways people earn and use credit card points to travel. For example, one of the speakers traveled from Los Angeles to DC for the conference. But rather than a normal routing, he flew business class to Mexico City, then to Paris, then to Beirut, then to Frankfurt, and finally to Washington, DC. Um… what? He reviews first and business class seats for his blog and had a few extra days, so he figured he’d make the most of them. He could have easily flown direct from LA to DC, but instead he chose to take a longer route covering three different continents. That’s probably definitely not feasible for most of us, but it shows the opportunities having credit card points can provide. The attendees were also super savvy and were sharing their tips with the group. One attendee talked about pre-ordering $2,000 in casino chips for a cruise (pre-ordered, so no separate cash advance fee and it counted as a “travel” charge on his credit card). He earned 6,000 Ultimate Rewards points on his Chase Sapphire Reserve credit card for the purchase, and cashed out the chips immediately for his $2,000 back. Had he bought the casino chips using his credit card on the cruise ship itself, he would have been charged a 5% cash advance fee (no thanks) and earned only 2,000 points. Since he purchased the chips before the trip through the cruise line then immediately returned the chips, he earned 6,000 points at no out-of-pocket cost. Another attendee used his credit card’s price protection for refunds of $500+. He purchased items he knew would go on sale for Black Friday, then showed his full priced-receipt and the Black Friday ad to the credit card company. One of the benefits of the credit card he used was price protection, so the company refunded him the difference in price. Not a factor in points, but an example of how some people can use all of the benefits of different credit cards. And the list goes on. THIS DUDE HAS 54 ACTIVE CREDIT CARDS! The sessions ranged from the Marriott/SPG merger (all the rage these days), booking airline award flights, earning points, finding travel deals, and travel planning. The convention took place from 9:00am-6:00pm on Saturday and on 9:00am-5:00pm on Sunday. While the sessions themselves were super informative, probably the best part was interacting with other attendees who play the points game and learning about their own experiences. It’s a small subset of people who understand the ins and outs of using credit card points to travel the world, so it was inspiring to hear how other people have earned and used points. My favorite speakers from OneMileAtATime.com. Gives you a good sense of the total attendance (about 200). Some attendees found ways to use points for a Disney vacation with the family. Others focus all of their points on an annual trip to celebrate their anniversary. Of course, there are the small few who have earned so many points (small businesses, work travel, etc.) that they can travel the world without paying for flights or hotels. 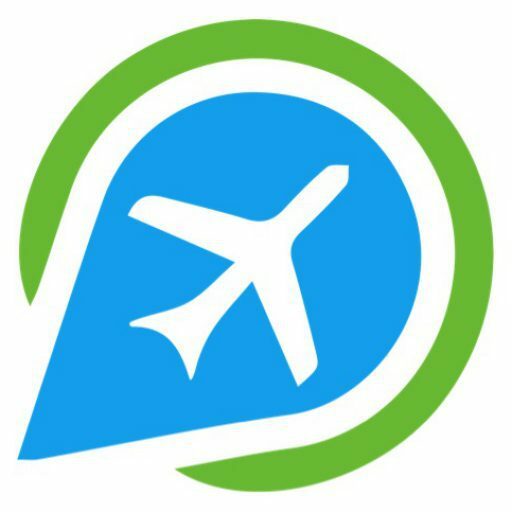 You don’t have to be one of those people casually flying from LA through Europe to DC to start earning free travel. I honestly had no idea there would be 200 attendees at the conference. We see the most famous “guy” with “points” parading around the world in business class, but little did I know that there are a host of other “points guys” doing the same thing without blowing up our Facebook news feeds. I remember being nervous that the airlines or credit card companies would eventually “catch” me, but in reality, all parties are benefiting from the arrangement. If you want to travel, you should also be in on the game. I don’t usually pat myself on the back. But as some of the speakers were describing the best way to actually use all of the points that people earned, I felt like I would have given the exact same advice. I don’t have the ability to earn 1,000,000 points, but I do know how to most efficiently redeem my points for award flights that don’t require a last-minute flight out of New York City on a Tuesday afternoon. Because what kind of job has that flexibility? Maybe if your career depends on reviewing the newest and fanciest first class cabins. But for the rest of us infrequent flyers, I’ll stick with the basics. Maybe the coolest part of the weekend? One of the speakers thought I posed a good question and gave me an extra set of pajamas Lufthansa gives out to first class. More motivation to fly first class rather than business class!